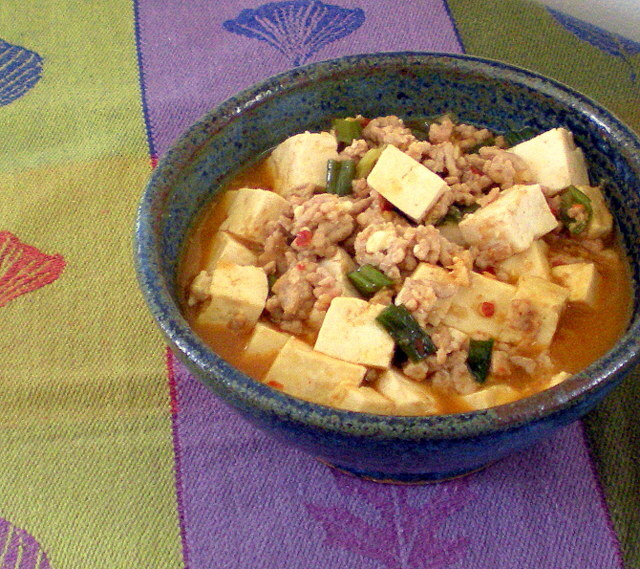 A spicy Szechuan dish that is traditionally made with a chili paste called doubanjuang. I’m sure I could have hunted it down in an Asian grocery, but I went the simpler route and used what I had in my pantry. Entry filed under: Chinese, For One or Two, Low Carb, Main Course, Popular Ethnic Dishes. Tags: chinese take out, mabo dofu, mapo tofu. As a veggie, I’ll leave out the pork. Looks relish! !